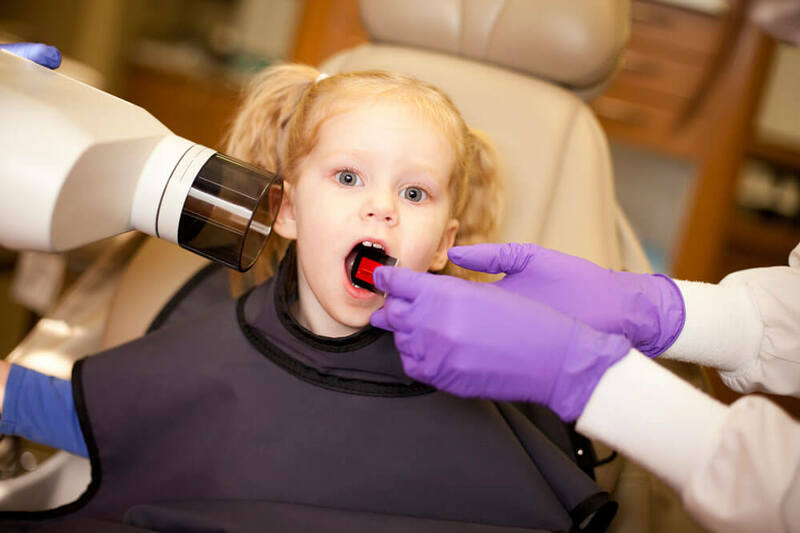 Dental X-rays are a valuable diagnostic tool used to identify decay, extra teeth, bone defects, tumors, cysts and to check the progress of previous procedures. Advances in technology now allow for digital X-rays, which reduce radiation exposure more than 50 percent, and produce instant, high-quality images that can be viewed immediately by Dr. Nathan, the assistants, you the parent, and the patient. By having digital computer monitors at each dental chair, Dr. Nathan and his great team can use these to show parents and patients their digital x-rays and photos to better view and understand dental treatment needs. Digital x-rays also have much less radiation than the traditional film x-rays. Using Electronic Medical Records by Open Dental allows our practice to quickly and accurately access patient information in order to provide efficient and accurate patient care. Our software is completely HIPPA compliant, insures patient confidentiality, and helps protect patient information. Always aware of our environmental impact, it also eliminates the need for wasteful paper. Having electronic and digital records allows us to efficiently share patient information and xrays (with your written permission of course) with referring dentists via a secure, HIPPA-compliant portal. If you ever have to relocate or change dentists for whatever reason, we can also transfer records electronically over the same secure, HIPPA-compliant portal. In an effort to entertain our patients and help them relax while being in our reception area, we are pleased to offer a FREE 4-person PacMan™ game for our patients to enjoy while visiting our office. Even the parents love playing it!! As a way to encourage good behavior and reward patients for being cooperative, we offer free tokens to be used in our Treasure Tower Toy Machines. Each child that comes to our office will receive at least one gold token to be used to pick a free toy out of our toy machines. With over 16 different types of toys to choose from, there should be something for boys and girls of all ages. Enjoy!!! Again, in an effort to entertain our patients and help them relax while being at our office, we are pleased to have digital flat screen televisions throughout our office. We now even have them on the ceiling, so your child can watch TV while laying down. This gives the patients something else to focus on and distract them while undergoing dental procedures. Patients are able to watch their favorite movie or cartoon while being in the dental chair. Everyone loves the TVs on the ceilings! To make our office more customer friendly and convenient, we offer free Wi-Fi for all patients and parents. Be sure to check in and like us on Facebook! !